Pumping out positive crank case pressure and leaving a slight negative pressure is a great way to eliminate oil leaks. 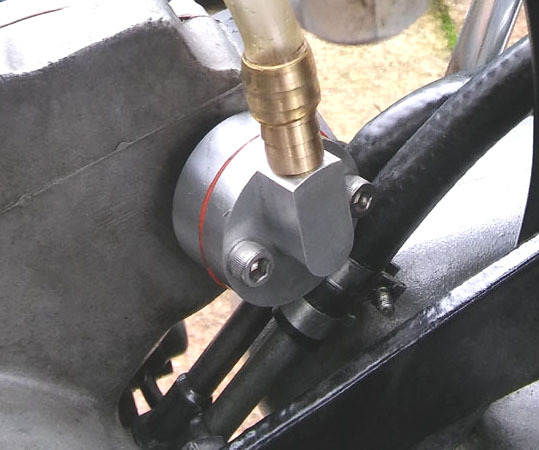 This simple breather uses the proven stainless steel reed valve from the BMW twin (street and track tested). 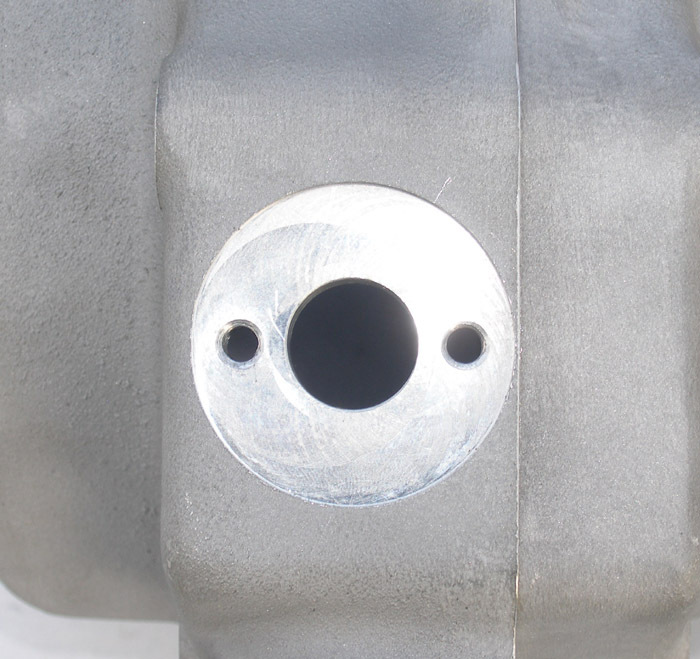 Body is machined from highest quality 7075 Alum. Stainless steel fasteners. Easy installation with no machining necessary. Available in 4 versions – 750 left case vent, 850 rear timing side mount, Combat or Maney case lower sump mount and front tac mount (see breather demo). Replaces the early 750 Commando and Atlas vent on the left case. You should remove the original cam rotary valve and spring to increase the efficiency of the reed valve. See diagram for plugging vents to the timing chest as shown at bottom of page. Replace the original 850 MK2 timing case vent tube with the one way reed breather valve as below. Replace the original 850 MK3 timing case vent tube with the one way reed breather valve as below. Fits Mk3s with shorter aftermarket starter as below (see next item down for original prestolite starter). Replace the original 850 MK3 timing case vent tube with the one way reed breather valve as below. Special angular fitting allows it to fit Mk3s with original prestolite starter. Bolts right up to Combat and Maney heavy duty cases (no machining necessary). Other cases can be modified to use this breather (page down). Only two screws are necessary. Reusable crush proof gasket provided. 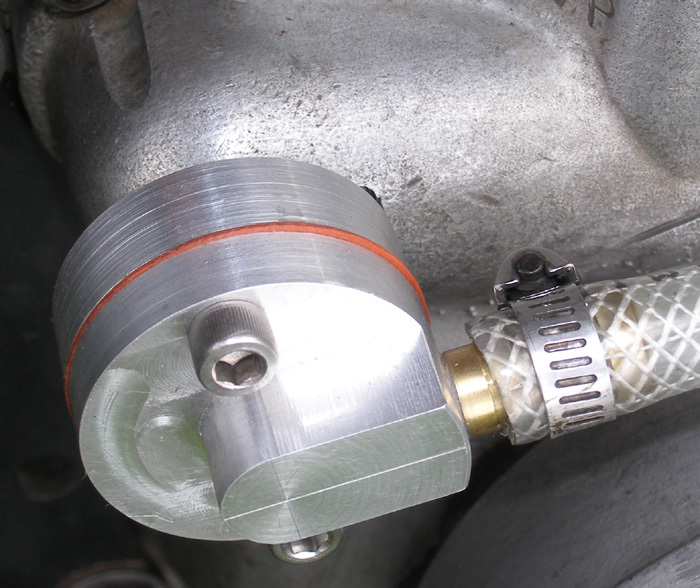 The 3/8″ and 1/2″ hose barbs both have the same size venting connection. 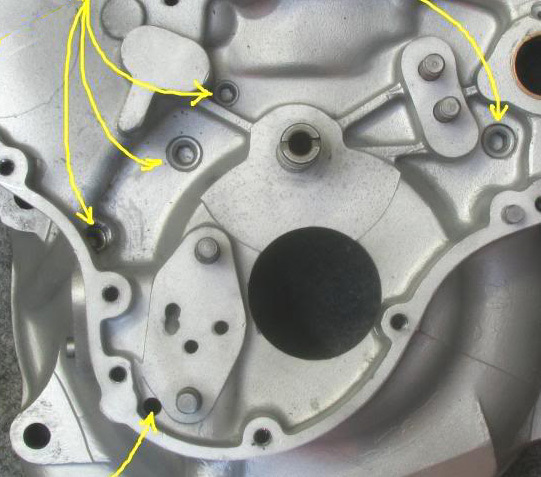 Note that all versions of the JS breathers shown above can be moved to the lower sump later on when you rebuild the motor by enlarging two holes to 1/4″ and making the sump modification as shown below. See diagram for plugging vents to the timing chest as shown at bottom of page. The Maney and Combat cases are already drilled and threaded to accept the JS breather as below. 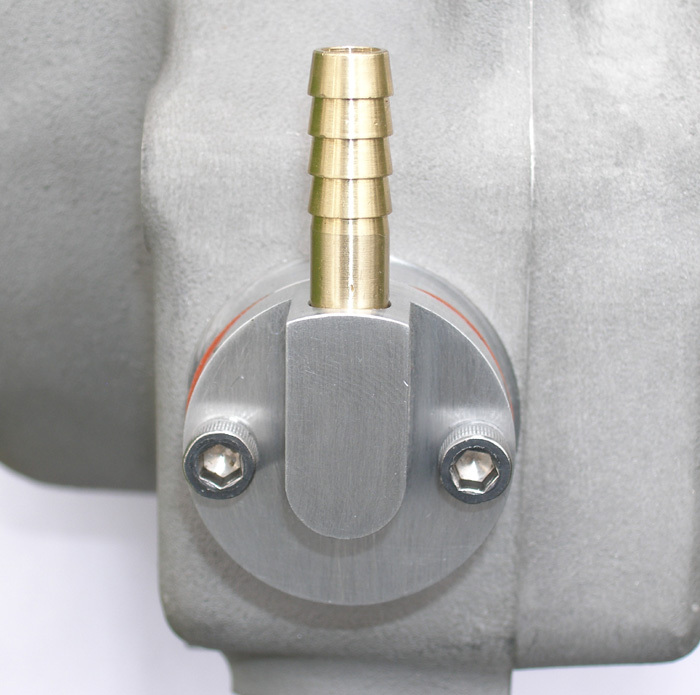 OPTIONAL – For those with other types of cases who want the lower sump mounted reed breather – you must drill and tap two small holes and one larger breather hole in the lower left case as shown below. 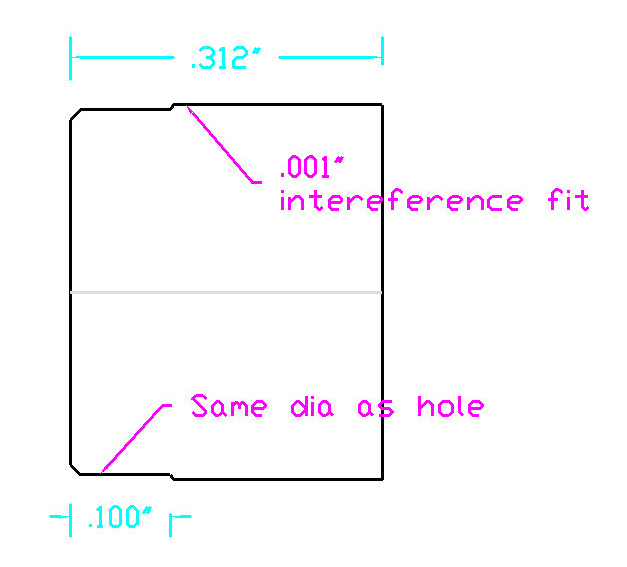 A smaller offset 1/2″ hole is used rather than the larger 3/4″ Combat/Maney hole shown in the image above. Both 750s and 850 Commandos can use the front tac drive mount for the breather. For those who don’t need a Tac or have an electronic Tac. No modifications or machining necessary. 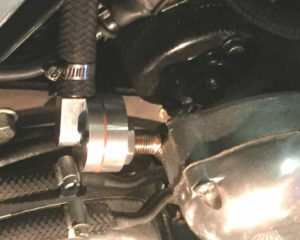 For left case vent, lower sump mount, and front Tac mount reed breathers you can increase efficiency by threading and plugging the breather holes to the timing chest with pipe plugs as shown below (not for 850 timing case mounted breathers). If you plug the original oil return hole (far left) then you must also add a new oil return hole below the oil pump (for tilted motors only). See breather plugs below. 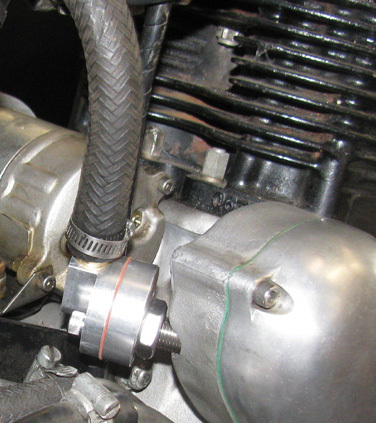 OPTIONAL – For those who don’t want to disassemble your crankcases – instead of using pipe plugs you can avoid threading the breather holes and getting chips in motor by making aluminum plugs and driving them in (see image below). 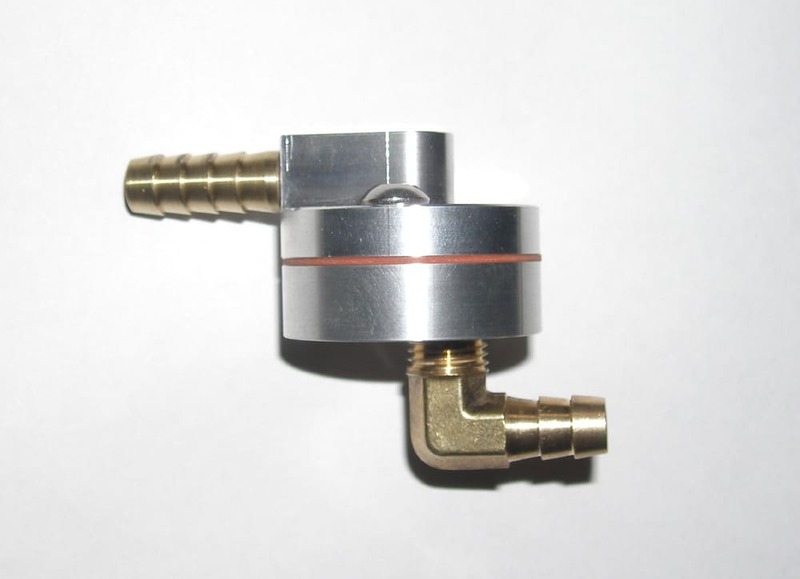 INLINE BREATHER – Plug this into any 3/8″ hose leading to the oil tank. Works for the new 961 Norton or any vertical twin or single cylinder motor. 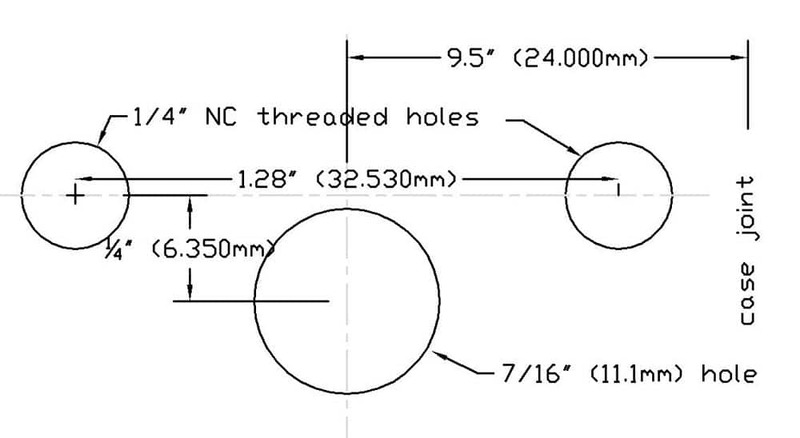 The interchangeable input fitting threads into 1/4″ pipe threads.